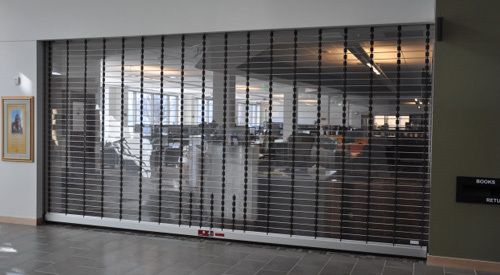 Rolling Grilles provide access control and off hour security on interior and exterior openings. Permit visual access of separated spaces. Click here to go back to products page.